Elite IAS offers Scholarship Programme for coaching in both English and Hindi medium. 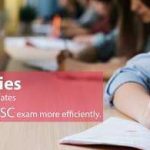 The motive is to provide quality coaching to meritorious students preparing for Civil Services Examination. This will help students to avail concession ranging between 20% to 100%. An UserID & Password will be sent to you within 24 to 48 hours. Once the test is over at scheduled time, it will get locked i.e. the moment time is over, you won’t be able to access the test. This scholarship test is for providing Free IAS Coaching and fee concession to the deserving candidates based on their performance. This test is not for providing any cash benefits to the students in lieu of Coaching. Elite IAS will not bear any expenses related to undertaking the 1-year Free IAS Coaching such as those for lodging and food in Delhi. Elite IAS has discretion in all the matters related to entrance exam and coaching and the decision was taken by Elite IAS will be final. Elite IAS reserves the right to terminate the facility given to the student at any point of time during the course. You are expected to attend the classes regularly. In case of a lack of discipline of following your study schedule, your Free IAS Coaching maybe discontinued and passed on to next eligible candidate. In case of selection for the course, you will be informed about the respective batch and timing. Within 10 days of the declaration of the scholarship test result, you need to submit the required documents and fees to reserve your seat for Civil Services Examination coaching. (You have the choice to choose your Batch/Month). (a) Scanned copy of Matriculation Certificate. (b) Scanned copy of Graduation Certificate (if in the final year – send a scanned copy of 1st & 2nd-year Mark-sheet). (c) Scanned copy of Aadhar Card or any other document for Address Proof. (d) Two (2) recent passport sized photographs. (a) To reserve the seat Rs.3000/- should be paid in favor of – Elite Academy for Education & Training Private Limited. (via Demand Draft / Cheque / NEFT (internet banking). (b) In case of failure to complete the formalities under the stipulated period, the scholarship award will be canceled and passed to other eligible candidates.